Looking at these, I know it was meant to be. No question about it. I just wish I had made them sooner! If you are reading this, I can only hope that you are heading into your kitchen now. 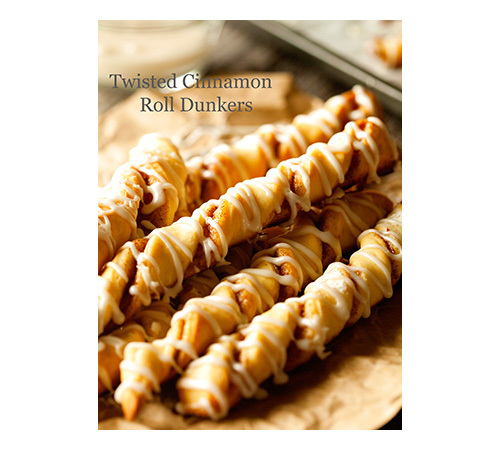 Don’t wait another minute to make these. Just do it. 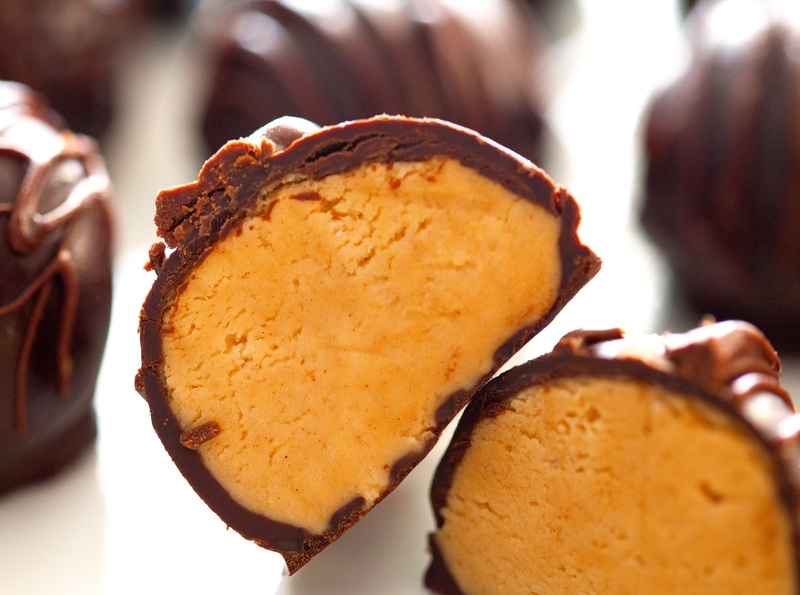 These truffles are a chocolate and peanut butter lovers’ dream. As I took my first bite, all I could think was that these must be the smoothest, creamiest and silkiest peanut butter truffles I’ve ever put into my mouth. 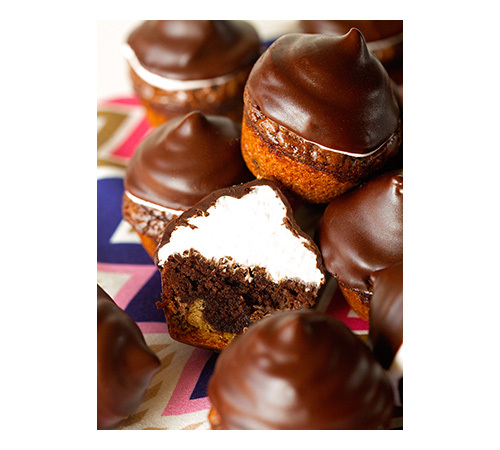 They are rich, fudgy, and so, so indulgent. Pretty darn amazing. Packaging these truffles and giving them to your loved one, will definitely top any candy you could buy at a store. I know I would be thrilled to receive a box of these truffles – no more guessing if you’re gonna like the truffle you picked. I am pretty sure every single one of these bites will be devoured in no time. 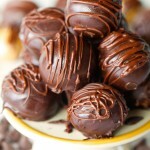 No matter what you think about Valentine’s Day, I think we can all agree on “loving” Chocolaty Peanut Butter Truffles. 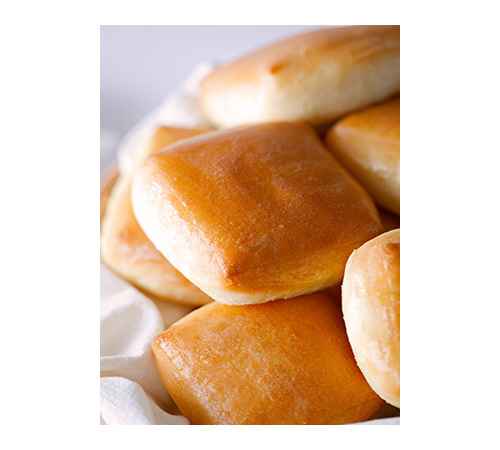 This weekend would be the perfect opportunity to make them since they can be made ahead of time. And hey, there’s nothing wrong with making a test batch first. Here’s to a fantastic weekend! 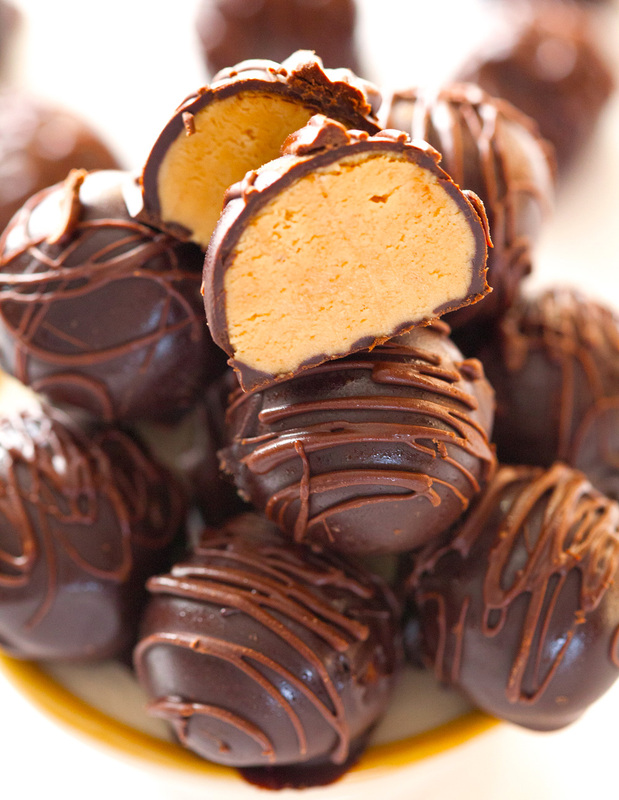 Make the easiest and most amazing Chocolate Peanut Butter Truffles you've ever tasted. So silky, smooth and rich. 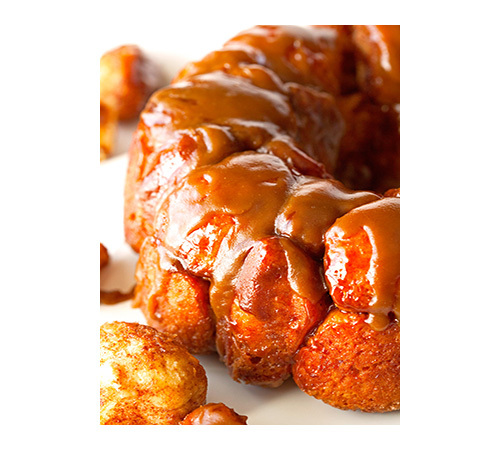 Enjoy these melt-in-your-mouth moments. 1. In a medium bowl, mix together butter and peanut butter until well combined. Incorporate powdered sugar and mix really well until a smooth dough forms. Form dough into 24 balls (about 1 1/2 tablespoons of dough per ball) and place on the prepared baking sheet. Place baking sheet into the fridge and let chill for 30 minutes (or 15 minutes in the freezer). 2. 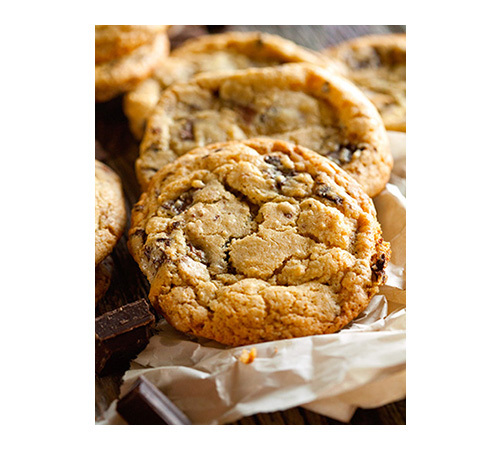 Meanwhile, melt semi-sweet chocolate chips and 1 tablespoon shortening, if using, in the microwave or with the help of a double boiler. 3. 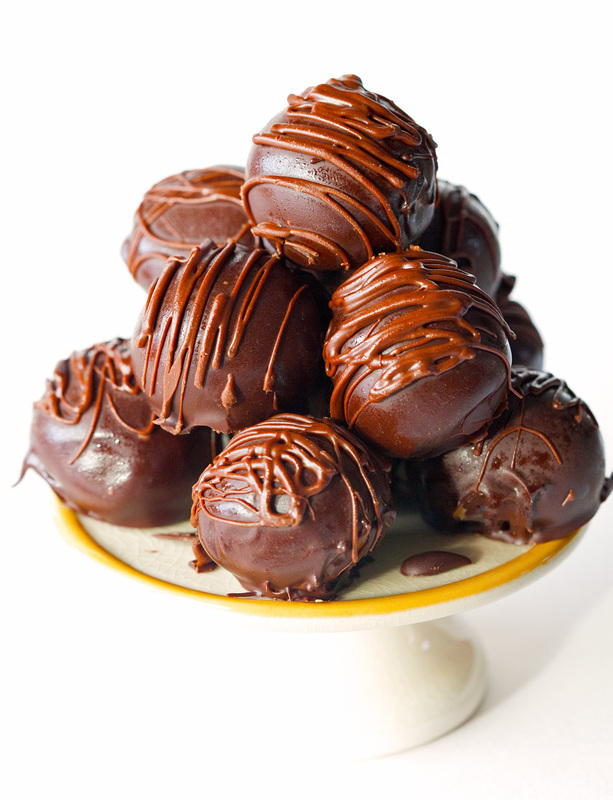 Remove peanut butter balls from the fridge and dunk one ball at-a-time into the melted chocolate. I use a fork to flip over the ball in the chocolate to make sure it's evenly coated. After that, I tap the fork gently against the side of the bowl to let excess chocolate drip off and transfer the coated truffle back to the baking sheet. Repeat with all balls. Place back into fridge for 10 minutes. 4. Melt milk chocolate and 1 teaspoon shortening and remove truffles from the fridge. 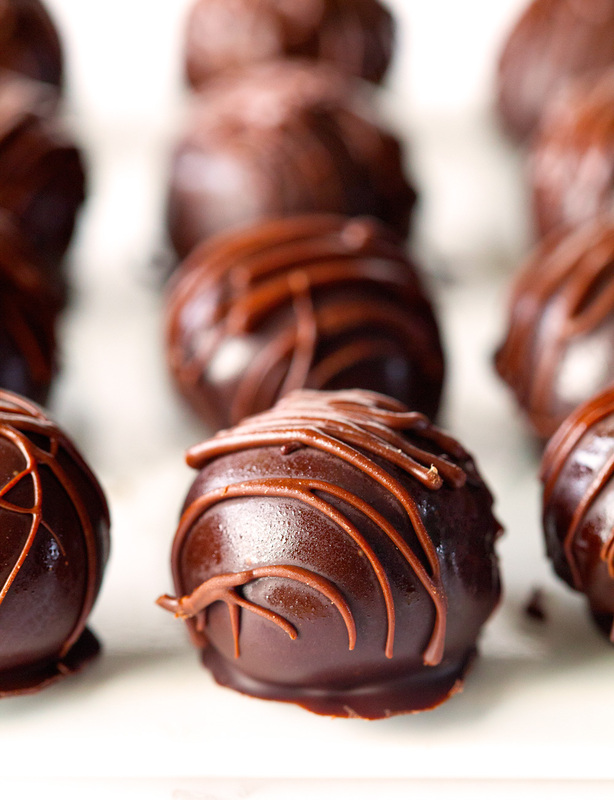 Using a fork, sprinkle each truffle with melted chocolate. Place truffles back into the fridge for at least 15 minutes or until set. Enjoy! 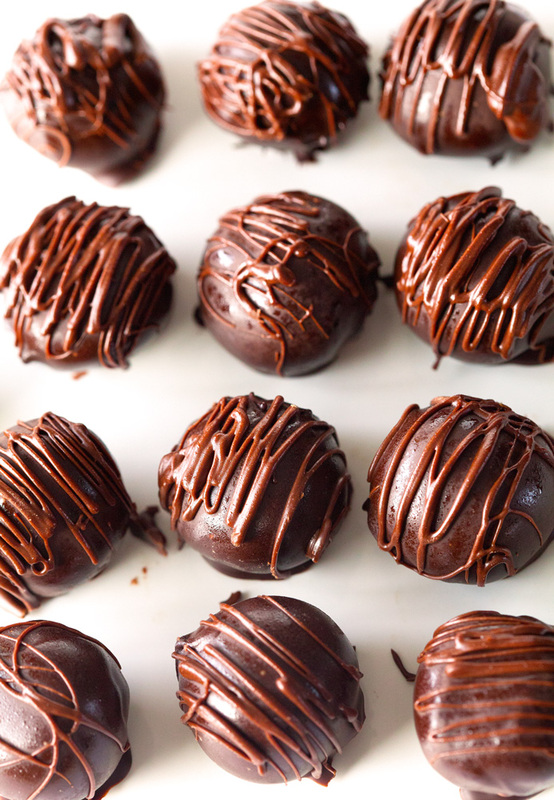 Chocolaty Peanut Butter Truffles will keep up to 1 week in in an airtight container in your fridge or up to four weeks in an airtight container in your freezer. Truffles taste best when kept in the fridge and should not sit out for more than 10 minutes before serving. Mixing shortening with the melted chocolate helps the chocolate to stay smooth, which is easier to work with and gives the finished truffles are more professional look. these would be gobbled up in my house! Wow, these sound and look so good! They are! Hope you give them a try, Jessica. Thanks for saying hi! 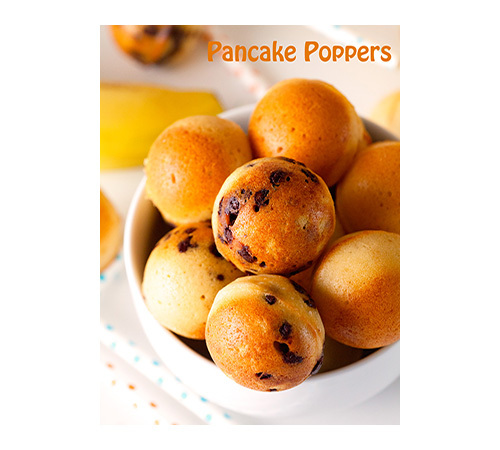 I just made these (without the drizzle)–YUM! 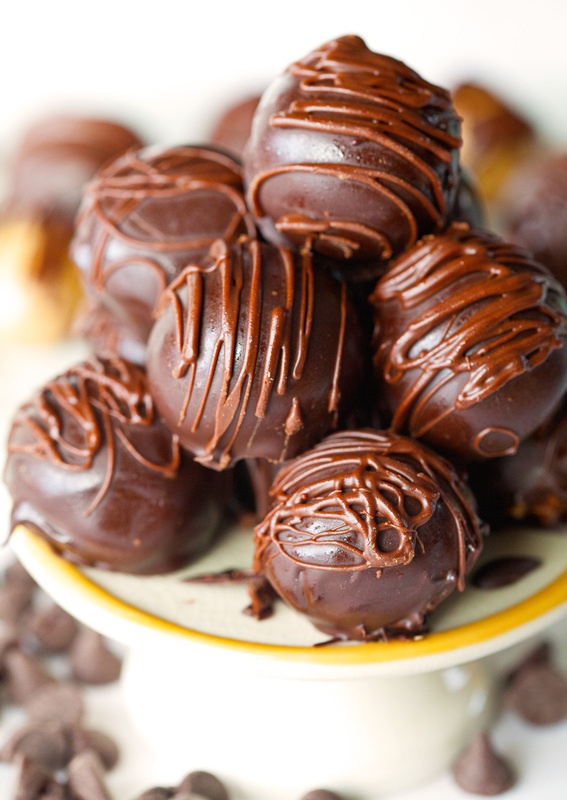 This is my first time EVER making chocolate peanut butter truffles, but my daughter-in-law loves PB and chocolate, so I searched until I found a pretty simple recipe and this one won. It totally works! instead of a fork, I used toothpicks in the PB balls and dipped them that way. Also, I wasn’t able to get more than 15 little balls with the recipe, but I’m saving this and passing along the recipe. THANK YOU and Happy Easter! Im attempting these and the dough is really soft. Should I chill before forming the balls? Hi Lindsey, yes, chilling the dough would definitely help. 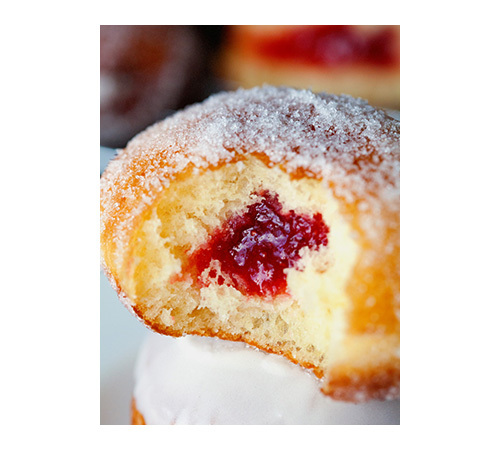 If they’re still too soft after 15-30 minutes, try adding another tablespoon or two of powdered sugar. Hope that helps. Let me know how they turn out. Hi, these look good and I know my 7-year old will love making them, is it poss to do with no butter do you think as I really don’t like the taste? You should definitely be able to make these without the butter. I would either increase the peanut butter or add a little bit of shortening or even coconut oil. I am so glad to hear that you’ll be making these with your child :). Let me know how they turn out – I’d really love to hear. Can you make this ahead of time and let the filling stay in the fridge over night and form the balls the next day? Or is this recipe better to make in the same day so to speak? You sure can. The filling might be a little hard to scoop right away, so I would recommend taking it out 15 minutes before rolling it into balls. Great question, Sarah! These were good, except the dough was way too soft and sticky to do anything with. Impossible to form into balls. I was pressed for time and had to add quite a bit more powdered sugar which took away from the PB taste. I will attempt these again and put the mixture in the fridge to harden it, as I would have rather had a more PB taste than a sugary one! And awesome tip on adding the shortening to the chocolate, it does make them look more professional and smooth. Great recipe! These were easy and taste great! 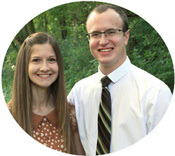 i just love your site thank you for letting us print it out with the picture on the recipe. always like to see what it is going to look like when i make it. CAnt wait to try these… Ty. Would it work with super chunky peanut butter? 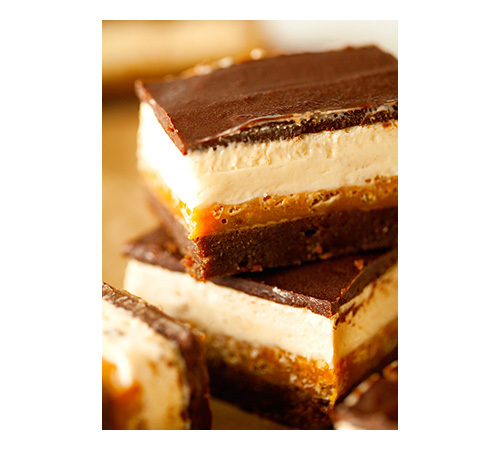 I made these last night – nom! I just made these a few minutes ago. I only ended up with 16 but it’s fine. I made some adjustments. My husband absolutely loved them! Could margarine be used unstead of butter? I just made these and doubled the recipe when I measured 1 tabl. and a half I only got 23 balls I think there’s a error on how many balls it makes not quit done but I hope they come out good.